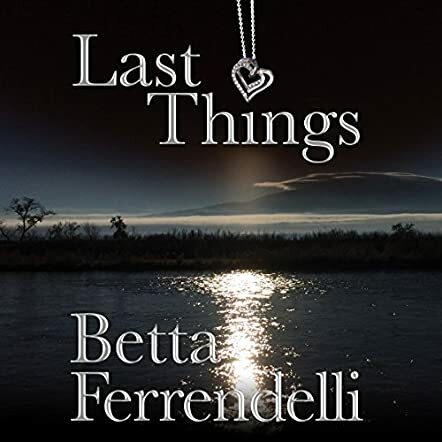 Last Things by Betta Ferrendelli is a story about two women who have walked a similar path. We begin with Bridgette, a successful journalist who is in a seemingly perfect relationship. Of course, we soon find out it isn’t so perfect. Elliot, Bridgette’s fiance, doesn’t like the idea that the child Bridgette is carrying has Down Syndrome. He reacts repulsively, wanting her to get an abortion. On top of that, she must make a professional decision that could potentially end someone’s life. Overwhelmed and wanting to end it all, she crashes her car, but miraculously she lives. Through this incident, she meets the other woman, Alexis. Alexis is living the life Bridgette wasn’t brave enough to live. A friendship soon blossoms between the two women, but of course, life isn’t fair, especially to the good ones. Last Things touches upon the surfaces of several sensitive matters, and Ferrendelli does a wonderful job of executing this with care. Last Things is a cozy novel, one that embraces you and doesn’t let go even when the tears start rolling. The friendship between Alexis and Bridgette was built up excellently; they kept secrets from each other, but that’s what made the story so interesting. Last Things is a novel I recommend to anyone who has ever had a “what if” moment in their life. It is well-written, heart-warming, and full of hope. Gabra Zackman narrates Last Things. I’m not too familiar with her other work, but her performance lends a vividness to Ferrendelli’s already colorful cast of characters; it felt as though I was listening to an old radio drama.